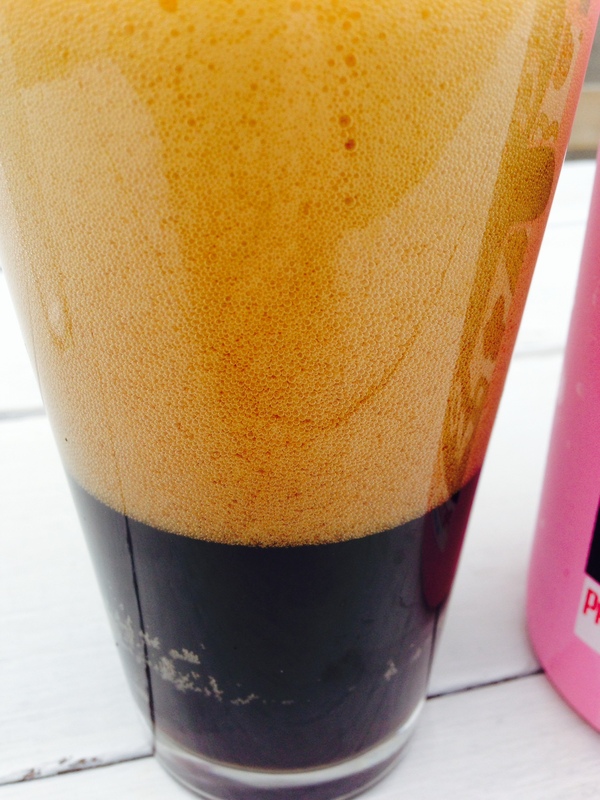 Carbonation is the sparkle that gives beer life and character. In fact, most of it’s descriptors: bubbly, effervescent, or flat could describe personalities. Whether it is cleansing the palate, or providing a vehicle for scrumptious aromas, this vital element can also be contentious. The main arguments revolve around natural versus artificial carbonation, as well as the proper level of carbonation in the final product. Specifically, some describe British beer as, “warm and flat,” which is like saying Swiss cheese is inferior to American because it has holes in it. Natural carbonation is the original way of carbonating beer. It is referred to as a secondary fermentation, because the yeast present in the beer ferments an amount of sugar added at bottling time. Home-brewers generally add a small amount of corn sugar (dextrose) to a bottling bucket, in which they combine their fully fermented, flat beer. The sugar mixes into the solution, providing the proper amount of carbonation for each bottle. In order to provide consistency from batch to batch, big craft breweries such as Boulevard will filter their beer, then add yeast and priming sugar in measured amounts so that they can dial in carbonation as well as how much yeast sediment is in every bottle. Speaking of Boulevard, you will find that their Smokestack Series ales have a high final carbonation. This is traditional for most Belgian beers. The high carbonation accentuates esters and hop aromas, and this highly carbonated mouth-feel is a trademark of many Belgian styles. This high carbonation serves another purpose, to wipe the palate clean of any sweet or bitter aftertastes. Boulevard is a classic example of a brewery that naturally carbonates their beer. I used to be a zealot for natural carbonation, under the assumption that it produces tiny, tight bubbles that cannot be replicated with an artificial process. Once I feel in love with the beer from Tallgrass Brewery, I was surprised to find that they artificially carbonated their beer (note: Tallgrass naturally carbonates their firkins). I could not tell the difference, and I believe that most of us fall into that camp (if not, congratulations on your golden palate.) Artificial carbonation is about equal to natural carbonation from the standpoint of the consumer. If the brewer holds traditional brewing practices in esteem, then that is a great reason to do it natural. However, we must pick our battles, and I believe that this debate is a bit overblown. At the Papa Louie’s Brewhaus, we prime our beers with various sugars (malt, dextrose, candi sugar, honey, molasses,) but we have artificially carbonated a few kegs in order to get them ready. If we had enough tanks, I could see us priming all of our keg beer in a Brite Tank, however this is unfeasible for our little brewery. So Boulevard is naturally carbonating it’s Belgian ales to high carbonation, but I wonder what the volumes of CO2 were for their Tenpenny Ale? This sessionable pounder was a bit ahead of its time, and the low alcohol strength (3.3% abv) was a big reason for the amateur drinkers to stay away. Sadly, Tenpenny is no more. I would think that the carbonation on this beer was a bit lower to bring it line with traditional English ales. British beer used to be synonymous with real cask ale, however, the light lager “revolution” did a lot of damage in the late twentieth century. CAMRA, the harbinger of the recent craft beer movement in the western world, decided to try and save real ale in England. They have made astounding progress, and today real ale is off the endangered list. Real ale is, of course, naturally carbonated in the cask. It is intended to be served at a lower carbonation level, which contributes a soft mouth-feel and pleasant drinking experience. British beer is a social exercise, so drinking a softly carbonated beverage makes since if you are going to have three or four with your friends before you go home. An added bonus is you have imbibed less carbonated liquid, so you will be less gassy when you get home. Let the husbands and wives rejoice! This traditional English ale is not flat, however, it is simply less carbonated. Additionally, it is never forced into the glass with CO2, it is always served in a mechanical way via gravity or a beer engine. The beer engine’s purpose was to transport beer from the cellar, where everything is 55’F (cellar temperature), through a long run and into your glass. Some English regions like to attach a sparkler to their goose-necked engine, and this forces the beer through tiny holes. The downside? You are oxidizing the beer as well as dissipating that delicate aroma. The upside? A tight creamy head, as well as a velvety smooth mouth-feel. It is a matter of choice, but a gravity dispense is a fine way to serve your cask. So the next time the leader of the free world quips that British beer is warm and flat, you can groan with me and other publicans that hold this style in esteem. We have to get upset about something, right?